What is the escalator anti-climbing device (Anti-climb Barriers)? When the escalator is more than 12.5 cm adjacent to the wall, it should be on the escalator or automatic. A blocking device installed at the upper and lower end of a sidewalk. What is the escalator anti-climbing device? The heat deformation temperature of ordinary acrylic sheets is about 100 degrees, and the continuous use temperature should not be higher than 90 degrees. Acrylic sheets are easy to generate static electricity and absorb dust. When cleaning with soft cotton cloth dip 1% soap water can be wiped. The original glossy surface can be restored by polishing. In public elevators, there are no shortages of children chasing after play. 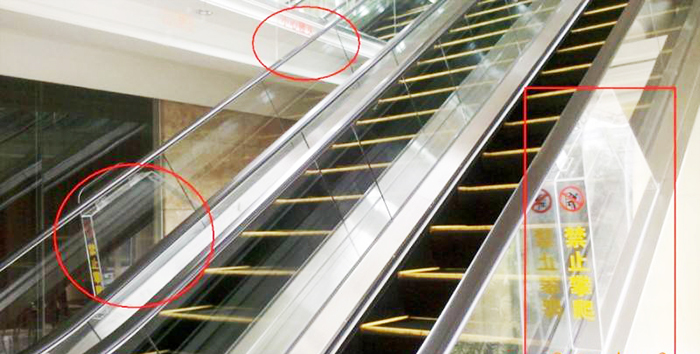 Although many beside the escalators are “forbidden climbing play”, “children must be under adult supervision on” logo, but the installation of the elevator armrests prevent climbing, will also reduce the risk of accidents. So to go against the wall adjacent to more than 12.5cm, on escalators or sidewalks, bottom department shall install block device, to prevent people from entering the outer cover plate area, thus fall accident, etc. If there is a risk of a person falling, appropriate measures should be taken to prevent the person from climbing onto the outside of the handrail device. 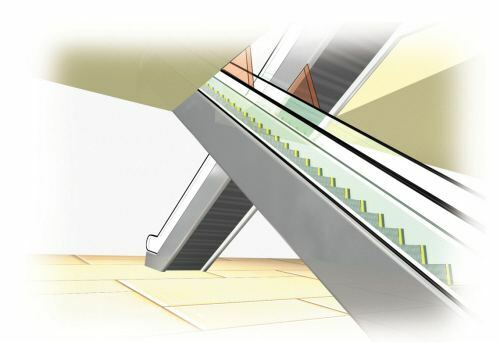 In order to ensure this, escalators and moving sidewalks outside cover plate should be installed on the fortification climb the device (see right-hand chart), climbing device located above ground plane h9 (1000 + 50 mm), lower fellowship with outer cover plate, parallel to the outer cover plate on the direction of extension of l5 should not be less than 1000 mm in length, and shall ensure that within the scope of this length without stepping on foot. Posted in Technology and tagged 12.5cm should be installed escalator climb guard device, acrylic sheets escalator climb guard device, escalator anti-climb barriers, escalator anti-climbing device, escalator climb guard device, function of escalator climb guard device, how to install escalator climb guard device, how to use escalator climb guard device, installation position of escalator anti-climbing device, materials of escalator climb guard device, what conditions require an escalator anti-climbing device. ← How to avoid elevator car door failure?